Having the right accessories can really make a good outfit. Sometimes, we girls (especially me) tend to take them for granted. I have a few belts and most of them are statement belts which one can use to really glam up an outfit. But for today, I’ve chosen a very versatile belt. Ladies & Beckies, today’s key accessory is: Braided belt. Hindi naman coincidental pero I really love the color brown, tan, mustard and cream. An item with any of that color (particularly shoes and accessories) looks clean and appealing. 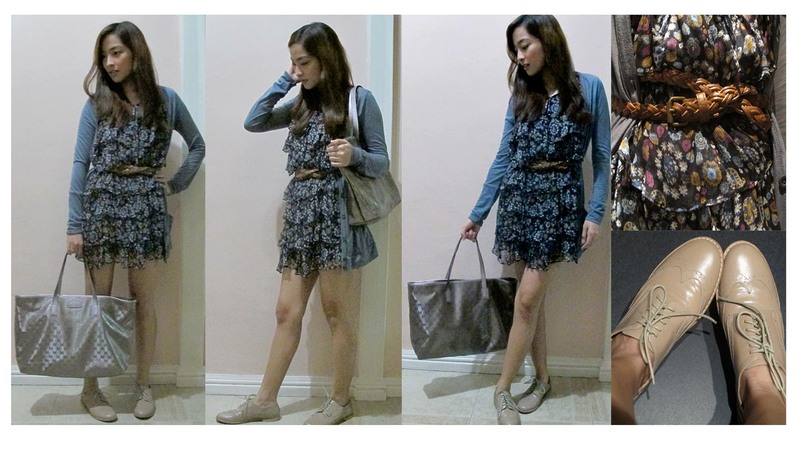 Malakas lang makadagdag styling points (if paired with darker shades or monotone brown shades). Jazz up your outiftey with accessories, most of the time it’s the key to a successful look. Take note that accessories include bags, jewelries and belt. So if one is dominating your outfit, tone down on the other accessories. There’s such a thing as overstyling especially if the pieces aren’t put together properly.